As iconic as the Graskop Gorge lift development is, it alone cannot establish the Panorama Route in Mpumalanga as one of the country’s major tourism nodes. This was the view expressed by Campbell Scott, one of the directors of the Graskop Gorge Lift Co (GGLC), at the media launch on February 23. The development features a first-for-Africa – a viewing lift that travels 51m down the face of the Graskop Gorge. The lift is just a means to an end, however. The real magic starts when you walk out of the lift and into a breath-takingly beautiful Afromontane forest. A 600m circular trail – comprised of elevated boardwalks and suspension bridges, allows visitors to explore this wonderful habitat that was previously not easily accessible. 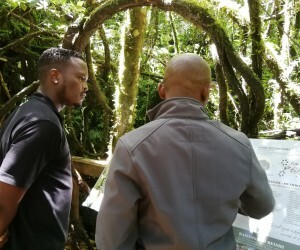 Campbell said meetings had already taken place with local authorities and tourist and business organisations to see how a partnership can be forged to put the Graskop, Sabie, Hazyview and Pilgrim’s Rest area on the international map as a choice tourist destination. Over one million people visit the Kruger National Park each year, and many are unaware of the magnificence that awaits them just a short drive away. Many of these are international tourists. “It is our vision to develop the Panorama Route into an iconic destination,” said Campbell, who also owns Hazyview’s Skyway Trails. 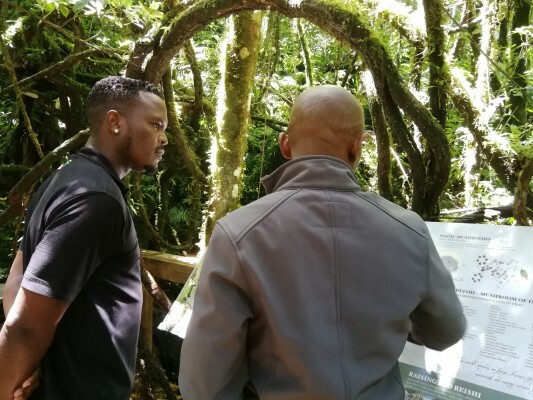 With regard the Graskop Gorge lift development, he said that there is nowhere else in the region that allows wheelchair-bound people access to views as spectacular as those that can be enjoyed from the centre’s viewing decks, restaurant and bar. Part of the forest trail is even wheelchair friendly. Oupa Pilane, also a GGLC director and president of the Kruger Lowveld Chamber of Business and Tourism, said that the lift development was a good start in achieving their vision of a tourist mecca. “It has brought much-needed investment, energy and employment to the region,” he said. The third director, James Sheard, owns Misty Mountain resort, which is set in a 280-hectare South African Natural Heritage Site. He too is committed to changing the face of the Panorama Route and in 2016, he and wife Lisa opened the Long Tom Toboggan, which is the longest toboggan run in Africa with an impressive 1.7km track. It is also the only of its kind in Africa.